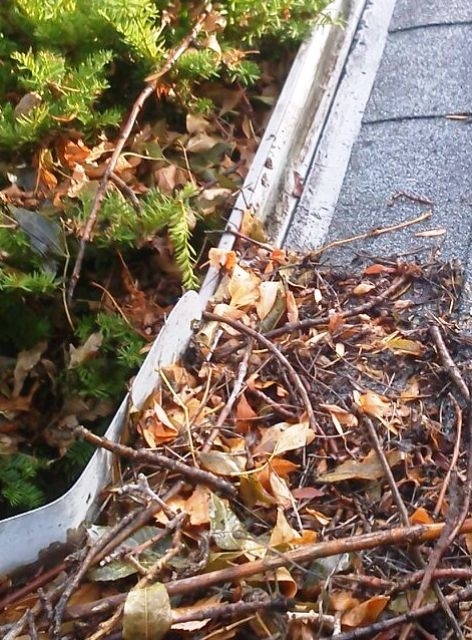 Gutter cleaning on your Hopkins home is one of the more important maintenance items every homeowner should do but is often overlooked until there is a small garden growing from your gutter system. Clean gutters is important so rain that falls on your roof does not end up in your basement. We are a gutter cleaning expert serving the greater Minneapolis area including Hopkins and we will hand clean each section of your gutter system to make sure they are free of debris. Once your gutters are clean we will flush them out to make sure the water is flowing and the downspouts are not clogged. How will we be cleaning the gutters on your Hopkins, MN home? When we clean gutters we hand clean each section of your dirty gutters first making sure all large debris is removed and bagged for removal when we leave. After we have cleaned your gutters it is time to flush them out to make sure they are flowing properly and the downspouts are not clogged. When is the best time to get have a gutter cleaner come to my Hopkins, Minnesota home? If it is a once a year gutter clean we would recommend in the fall after the leaves have fallen from the trees. Fall is a good time to get your gutters cleaned since there is little in the winter time to plug your gutters and they are ready for the spring rains. The second best time is in the spring before the rains, the only drawback waiting till spring is the rains might come before your gutters thaw out and can be cleaned. Otherwise spot gutter cleaning is also an option when you realize the gutters are plugged and this can happen anytime throughout the year, downfall to this approach is they are already overflowing and it might take a few days to have a gutter cleaner get them working again. How do I get River City Home Solutions to clean the gutters on my Twin Cities home? The first step is to contact us via our contact form or call, please make sure to leave your full address and phone number so we can get in touch. The next step is we will provide you a free estimate for the cost of the job. After that it is up to you and when you want to get the gutters cleaned, typically we can fit you in the same week you call to be scheduled. Is there anything else River City can help me with while at my home? Well the biggest thing would be window cleaning since it is inevitable when flushing your gutters with the hose that we will get some spray on the windows we do offer a “quick” window clean for our gutter customers. This is not as detailed of a clean as our full clean, but it will get the outside of your windows looking good again and I promise you will get good value for the money spent. We do also offer our full service window cleaning to you while doing your gutters and will discount both services if done on the same day. The only thing we need from you when cleaning your gutter system is that the exterior water is turned on so we can flush your gutter system out. Other than that you don’t even need to be home and we will simply leave the invoice in the front door upon completion of the work. There is no fixed cost as houses vary in size and height. A ballpark estimate for a one story rambler would be $75-100, two story gutter cleaning would run $90-125, and a large home with lookout windows might run $150-300. The cost of the gutter cleaning is based on time and taller/larger homes simply take longer to clean the gutters and there is more risk exposure associated with doing the work. Serving the 55305, 55426, 55343 areas.